Fresh from spending some time with the new UK-set instalment of Horizon, we're ready to deliver our review! It doesn’t seem that long ago I was pulling the cellophane off my copy of the very first Forza Horizon, ready to whip out the disc and stuff into my Xbox 360. But already, we’re on instalment number four. 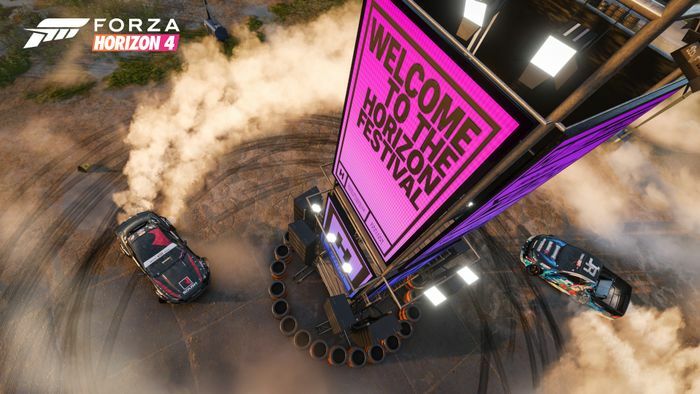 It’s the second Horizon game to be released exclusively for the Xbox One and the 11th title in the Forza series. It’s set in the UK and has seemed very promising from what we’ve seen of it so far. My biggest bugbear with the last Horizon game was the roads: there were few interesting bits of tarmac to enjoy on the whole map. I’d find myself heading for what looked like a cool, twisty section, only to find it was a dirt road. I’ve always thought the benchmark for a good network of virtual roads is the original Testdrive Unlimited. Its huge map has a mountain at one end, which you could drive to and enjoy the squiggly pass that went across it. 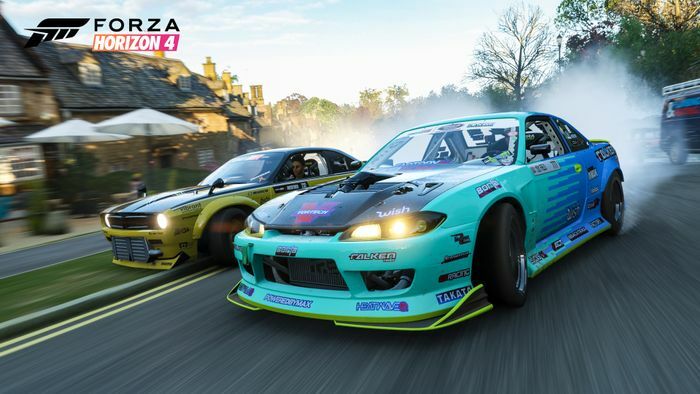 It seemed a shame Horizon 3 didn’t have something similar. 4 doesn’t have any mountain passes either, but - thank god - it does have loads of fantastic roads spread across the map (while still also having plenty of dirt roads, if you like that sort of thing). The set of hairpins close to the Horizon Festival base are a particular highlight - we’d recommend you seek those out before doing anything else. Horizon 3 just seemed to give you too much, too soon. You’d barely loaded up the game for the first time when suddenly you found yourself showered with credits, supercars and ‘barn finds’ which some dude would completely restore for you. For free. Which seemed like a poor business model. There is an element of this in FH4, but it’s been scaled back considerably. One interesting change concerns the ‘Wheelspin’ feature, which gives you rewards upon reaching particular XP levels. If you’ve bought the ‘VIP’ version of the game you no longer receive a double dose if you land on a credits reward, plus, there are now loads of ‘dud’ prizes. So yes, you could receive a cool car or a six-figure credits boost, but you might also ‘win’ a bowler hat or a new dance move for your avatar. Yes, really. Another big factor is you’re fairly limited as to what you can do when first starting up the game. 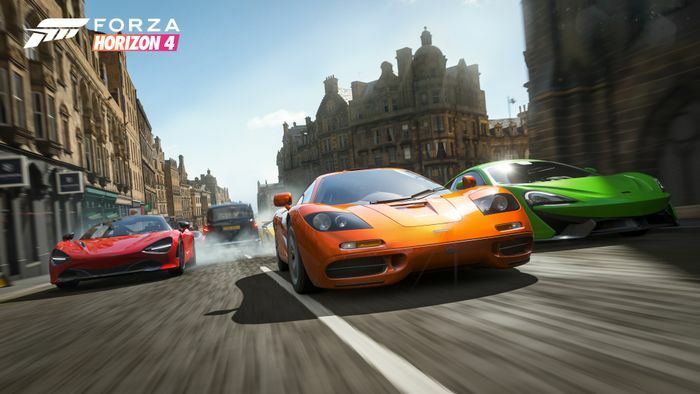 You initially have only three cars to choose from, and it takes a little while to unlock aspects like the Auto SHow, the speed challenges and the different seasons. It gives you something to aim for, and a reason to still be playing it after a few days. 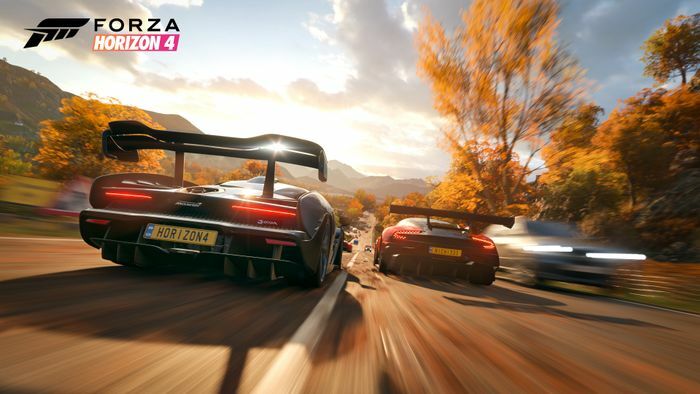 As soon as I heard rumours of FH4 being set in the UK, I was a little dubious as to how well it’d work. But damn, have the developers nailed it. Rather than go for the horribly overdone option of recreating bits of London, we have a miniaturised version of Edinburgh as the map’s biggest settlement, surrounded by scenery inspired by bits of Scotland, the North of England, Wales and the Cotswolds. It’s the UK’s greatest hits, and it looks fantastic, with great design working together with gorgeous graphics beautiful. 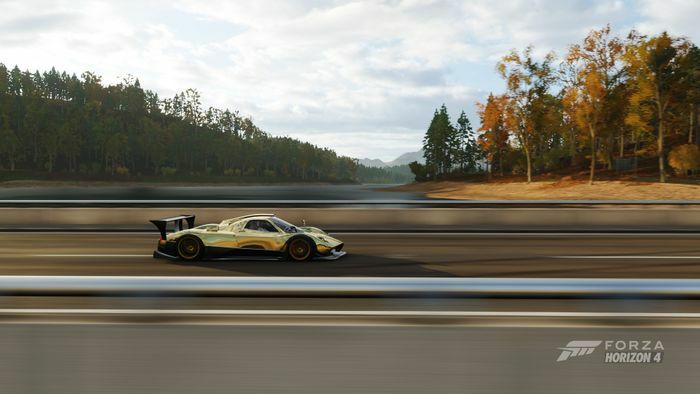 It’s probably a little smaller than Horizon 3’s map, which is down to the fact that the creators had to render it in four different seasons. As you unlock each one, you really don’t care about the slight shrinking of your supercar play area, as it looks fab in each one. Autumn looks particularly special. 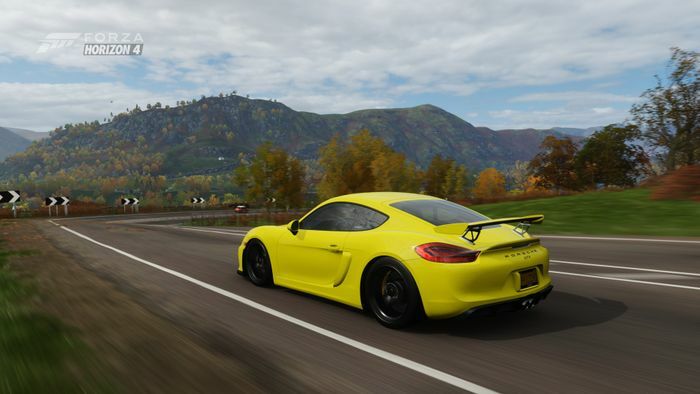 As a native Brit, I should have noticed anything that didn’t quite look out of place, but driving in FH4 really does feel like home. Minus the traffic. 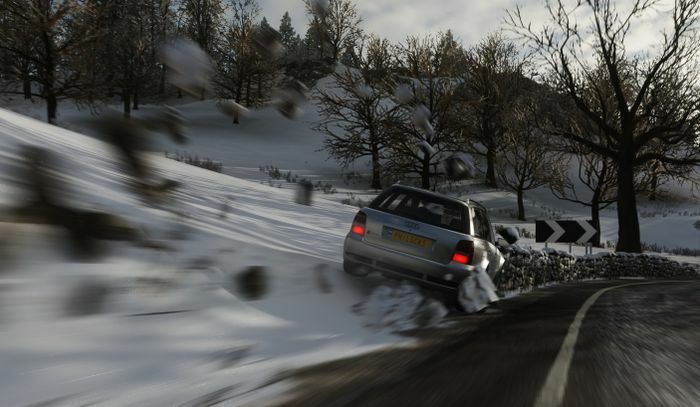 Horizon games have always ranked pretty high on the cheesiness scale, but it feels like FH4 has taken this to a whole new level. The radio hosts, the cutscenes (which are short but cannot be skipped) and Irish voiceover lady Kiera’s endless ramblings are all relentlessly cringey. Mind you, it’s still not as bad as Need For Speed Payback in this regard. Driving in Britain means the roads aren’t always perfect. It means there are sheep. And it means there are dry stone walls. 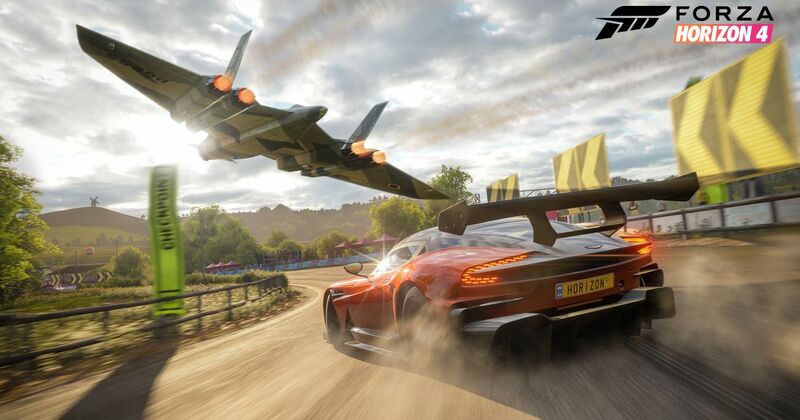 Thankfully, smashing into them in Horizon 4 isn’t quite as painful as it is in real life - you can happily plough through them and have a shower of stray stones raining down behind your car. It’s weirdly satisfying and adds a new dimension to smashing stuff up - a Horizon staple. OK, so you probably got a sense of this from all the comparisons made here between FH4 and FH3, but it’s an important point to make. 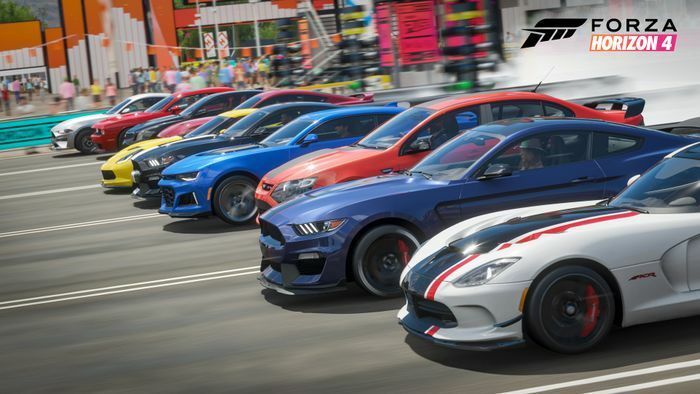 New installments in franchises like this Forza can often just feel like more of the same, but the latest chapter in the Horizon story is more than just some slightly fresher cars in a new setting. A lot of what wasn’t so great about the last game has been fixed, the changing seasons add an interesting new element, and it’s generally a more satisfying and fun title to play. If you like the old one, you’ll love it. And if you didn’t, this one might just win you over.